Following SpaceX’s announcement that their Falcon 9 launch date will be slipping from its April 30 target, evaluations have been taking place – in cooperation with NASA – to ascertain when the Dragon spacecraft can make its debut attempt to berth with the International Space Station (ISS). With the NET date of May 7 now official, Dragon will have two opportunities before potential conflicts with an upcoming Soyuz mission. Being ready to launch is always a challenge, regardless if one is launching sounding rockets out of Wallops or Space Shuttles out of KSC. As such, any slip prior to launch should not be seen as a negative, but as a necessity of ensuring no stone is left unturned ahead of a launch and its subsequent mission. Although SpaceX’s growing fan base sometimes treat the Californian company as an invincible force of nature in the spaceflight arena, their need to work within the decades of mission experience – provided by the likes of the Space Shuttle – has at least been proven by their own decision to slip the launch of their key Falcon 9/Dragon mission, not only past the April 30 target, but also the May 3 reserve date, despite some confidence they could have made the latter. “After reviewing our recent progress, it was clear that we needed more time to finish hardware-in-the-loop testing and properly review and follow up on all data. While it is still possible that we could launch on May 3rd, it would be wise to add a few more days of margin in case things take longer than expected,” noted SpaceX in a short release to the media on Monday. The background to the slip began with last week’s SpaceX Flight Readiness Review (FRR) and its subsequent overview to NASA managers assembled at the Johnson Space Center (JSC). Although the review was unlike the FRR’s held for the Space Shuttle, NASA’s involvement was required from a ISS standpoint, ensuring they were ready to receive the Dragon at the orbital outpost, in the event the spacecraft achieved its required flight milestones. With this mission being a combined C2/C3 demonstration – renamed to C2+ as a result – Dragon will have the opportunity to prove its Commercial Resupply Services (CRS) ambitions, after what will be only its second ride into space via its Falcon 9 launch vehicle. Once on orbit, during what is know as far field phasing, Dragon will then head into proximity operations, riding on a racetrack around the ISS, communicating with Space Station, prior to rendezvous operations and hopefully berthing operations via the Space Station Remote Manipulator System (SSRMS). 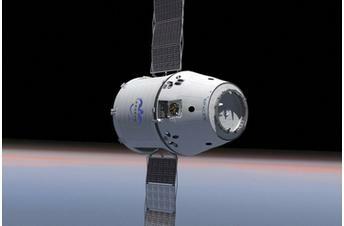 This latter – and historic – milestone requires the software on the Dragon to perform flawlessly. However, by the time of the NASA overview, SpaceX still had one additional simulation to run on its software, via an avionics package SpaceX CEO Elon Musk described as a “brain in a tub” on a bench at their headquarters. This “hardware in the loop” system is understood to have the name “Dragon Force”, a system that allows multiple hardware and software test scenarios to be run in parallel. It is the challenges of fine tuning this programming – such as avoiding aborts being called by the software when an abort was not required, in addition to its data being seen as acceptable and in compliance with the ISS’ operations – that requires additional time. Mr Musk, in tweeting confirmation of the slip, described delay as related to requiring more time to test the docking code, pointing towards the software’s role ahead of berthing with the ISS. In the run up to the April 30 target, SpaceX engineers were tasked with several milestones on the processing flow, including the loading of hypergolics on the Dragon. That operation had been rescheduled for Monday, per L2 processing information (L2 Link), although it has yet to be confirmed if the hyper-loading was completed, other than sources note the area had been closed earlier in the day – per the hazardous nature of such an operation. 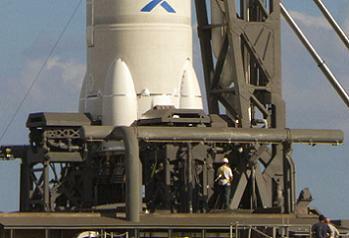 The most important pre-launch day objective is the Static Fire of the Falcon 9’s engines. This had been set for April 25, prior to slipping to April 26 after the flow was interrupted by poor weather last week, prior to slipping once again to April 27 after it had been revealed the next Delta IV due to launch out of Cape Canaveral wanted to conduct some unspecified tests, and thus required ownership of the range (L2 Link to information). With Falcon 9 receiving a rollout review on Sunday and Dragon’s status requiring its own review meeting on Monday – with NASA being informed of their wish to slip mid-way through Monday – the next FRR style meeting for SpaceX is understood to be taking place on Friday, thus the April 27 Static Fire is likely to be delayed until next week. As far as the launch date, L2 sources within the industry have noted several potential dates, although most appear to be centering around a NET (No Earlier Than) target of May 7, with a back up date of May 10. That date was confirmed as the official target on Tuesday. “NASA and the Cape Canaveral Air Force Station have approved SpaceX’s request to set May 7th as the target launch date for the upcoming COTS 2 mission,” noted SpaceX. As always, the key player in deciding the actual target date is the International Space Station, specifically its forever busy Visiting Vehicle (VV) status. (Animation created from 70 hi res ATV-3 docking images acquired by L2 – LINK). In noting the unique nature of this demonstration mission – one of the key elements related to why there are no 24 hour scrub turnarounds for the Falcon 9 – Flight Director Holly Ridings expanded on the additional challenges of finding a launch slot for the Dragon. 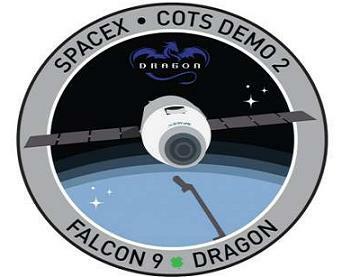 Once this demonstration flight is completed, the data gained will allow for refined calculations that – as confirmed by Mr Musk – should allow for back-to-back launch date opportunities, with additional help from the propellant usage ratio by the Dragon, as the demo flight looks to reserve as much contingency as possible for the C2+ mission, allowing for the expansion of options on orbit. Even the usual launch date challenges come into play in regard to the availability of May launch dates, all of which add to the need for careful planning ahead of a new target being announced. “There’s certainly range conflicts, there’s always range conflicts. There are some beta cut outs for the Space Station, there are some ground rules constraint cut outs where we don’t want a Soyuz vehicle and a Dragon vehicle exactly on top of each other – we’ve got to get one activity completed before we start the next one,” added Ms Ridings. 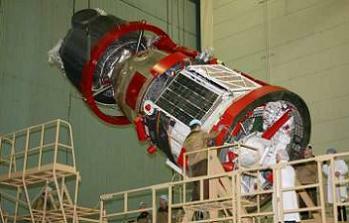 Based on the above, the largest challenge may come from Russia, as they prepare to launch their next Soyuz on May 15 (3am GMT) to the ISS. With proximity between Dragon’s launch date and Soyuz closing as SpaceX slip, the need to avoid the two vehicles “being on top of each other” – as Ms Ridings put it – may result in NASA managers advising Dragon moves to the other side of the Soyuz launch date, to around May 19 in the event of issues causing further delays past the May 7 and May 10 launch opportunities. Such a decision would also result in Falcon 9 being a night launch based on the T-0 time. It was likely a new launch date wouldn’t be revealed by NASA until the end of the week, based on updated status into the Dragon software testing at SpaceX. However, SpaceX confirmed the May 7 launch date on Tuesday to the media, meaning this is a NET (No Earlier Than) target, pending the conclusion of software evaluations. (Images: L2’s SpaceX Dragon C2/C3 Mission Special Section – Containing presentations, videos, images, interactive high level updates and more, with additional images via NASA, SpaceX and Roscosmos).